Skin: No adverse reaction recorded. For prolonged use, use suitable emolient. Eyes: Flush the eyes with fresh water for 10 mins. holding the eye open. Seek medical advice if soreness/redness persists. Skin: Wash skin with water & apply emolient. Storage should be dry, well ventilated, out of direct sunlight, away from heat/ignition. 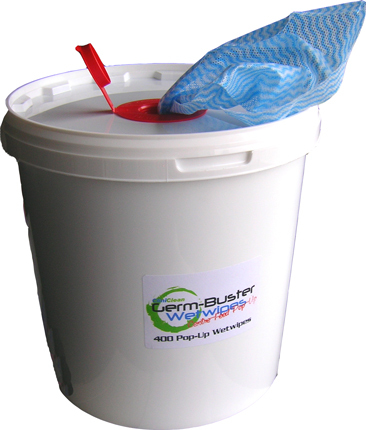 Wet (Impregnated) wetwipes, (non tainting) with antibacterial properties. This product is readily biodegradable. It is not expected to bioaccumulate.